At the Schwartz Law Firm in Farmington Hills, Michigan, "experienced, successful and responsive" are not mere words, but part of our mission statement. Since our law firm was established in 1972, our Michigan lawyers have been dedicated to providing individual and small business clients with legal advice that is honest and effective. 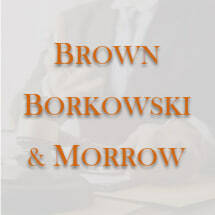 We offer a wide range of services, from divorce and family law to bankruptcy and criminal defense. Whether you need a lawyer to complete a business transaction, or to file bankruptcy or defend a lawsuit, an attorney at the Schwartz Law Firm is prepared to provide you with exceptional legal representation and advice. Contact us to schedule a free consultation with an experienced attorney.